Six-year-old Brooklyn Vance was staying with her aunt in Ashtabula, Ohio, while her mother was out of town. Connie Nelson, the girl’s grandmother from Las Vegas, was also staying at the home and decided to take the child. At 9:30 a.m. on June 12, 2018, the aunt woke up and discovered the girl and her grandmother were gone, as well as all of the child’s clothes. The aunt called the Ashtabula Police Department at 11:14 a.m. to report the girl missing. Police learned Nelson had mental health issues and an “unhealthy infatuation” with her grandchild. Family members feared she was planning to take the child to Las Vegas and the only way she had to get there was by hitchhiking. The child is under 18 years of age. There is credible information the child was forcibly or intentionally removed or lured away from her location and remains missing. The law enforcement agency believes the child is in danger of serious bodily injury or death. The law enforcement agency has sufficient identifying information on the child, and/or alleged abductor(s), and/or alleged abductor’s vehicle to believe an immediate broadcast alert will be beneficial in identification efforts. CECOMS handles emergency communications in nine counties in Northeast Ohio. 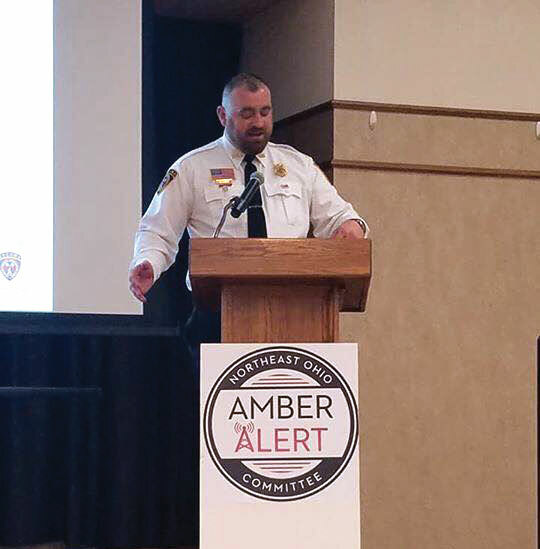 It is the only independent agency in the state authorized to issue AMBER Alerts. The agency has a goal to issue an AMBER Alert within 20 minutes; this alert was issued just two minutes later at 2:10 p.m. The alert, along with photographs and additional information, was distributed to the National Weather Service, Ohio State Highway Patrol, local media outlets and LAMAR Advertising billboards. The National Center for Missing and Exploited Children (NCMEC) was also notified to disseminate the alert via the Wireless Emergency Alert system. Nearby airport, bus stations, train stations and cab companies were also contacted about the situation. CECOMS also activated the new AMBER Alert Family Response Plan. The Northeast Ohio AMBER Alert Committee recently created the plan to gather information from family members of the victim and help them after an alert has been activated. “The goals of the Family Response Plan are to provide crisis stabilization, trauma informed communication and a sense of hope that reunification is possible,” said Minek. 9-1-1 telecommunicators received three accurate tips from the public within 15 minutes after issuance of the AMBER Alert. Nelson was found at 3 p.m. walking with the child, ten miles from where she was taken. The girl was unharmed and the grandmother was taken into custody for interference with custody, kidnapping and inducing panic. The Northeast Ohio AMBER Alert Committee reviewed the case following the incident, determining it indeed met all of the criteria for an AMBER Alert.